I went to Lush and Sephora today. 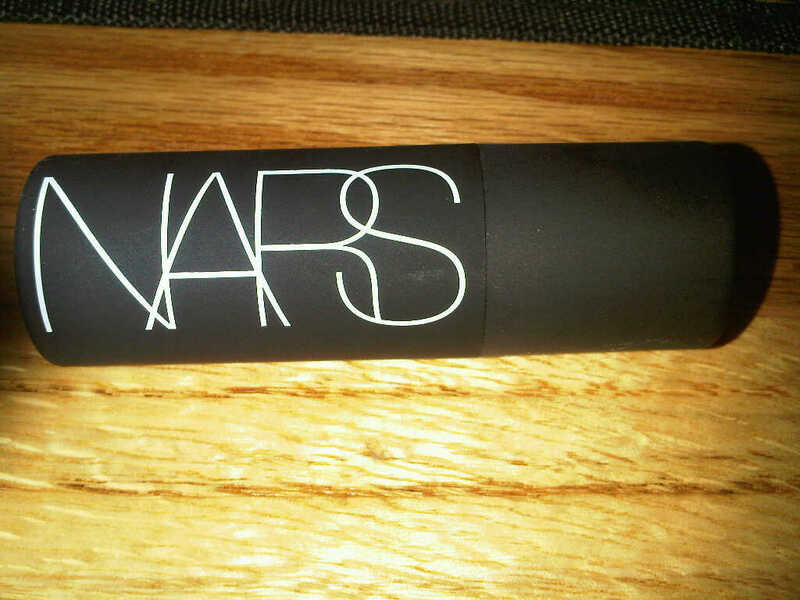 This was my first time in Sephora and boy is it amazing. As soon as I stepped in I ran into the Temptu airbrushing system and had to try it. They found out which colors would work on me and put it on. It feels great, like I am not wearing make up at all and it was super fast to put on. Did I mention that it is not melting in this 100+ degree weather in Texas? Overall very happy with how it works. This is a great deal for something that is so versitle. You can use it on your eyes, lips, and cheeks. I have pale skin so when it is blended it leaves a soft shimmery look and doesn't leave my skin sticky or cakey. 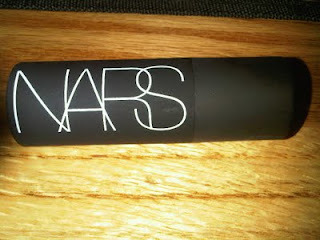 This is my first NARS product, and it looks like it will not be my last. Talk about love at first sight. 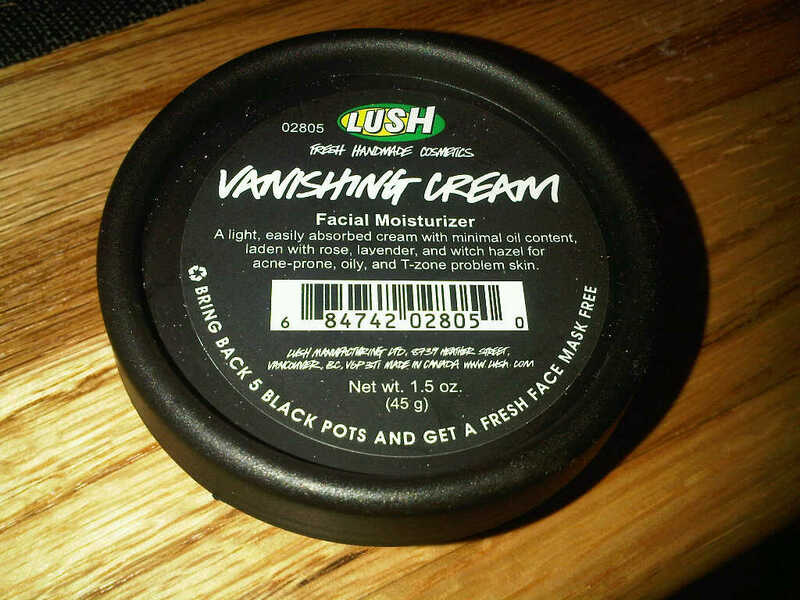 I ran into a problem with one of my Lush items and had to return one of them. My Vanishing Cream went bad all of a sudden before its expiration date (October 31, 2011). They replaced it with a brand NEW pot of it for free and took the bad one away. Such great customer service. They hooked me up with a free bath bomb for my trouble and gave me a little sample of Bubble Gum lip scrub. 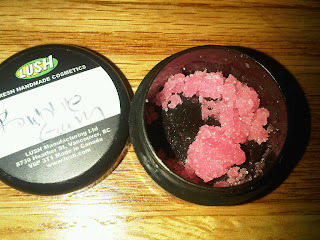 It is a sugar scrub that you rub onto your lips and it will exfoliate them really well and leave them soft and smooth. Once you are satisfied with that you lick the scrub off since it is sugar. 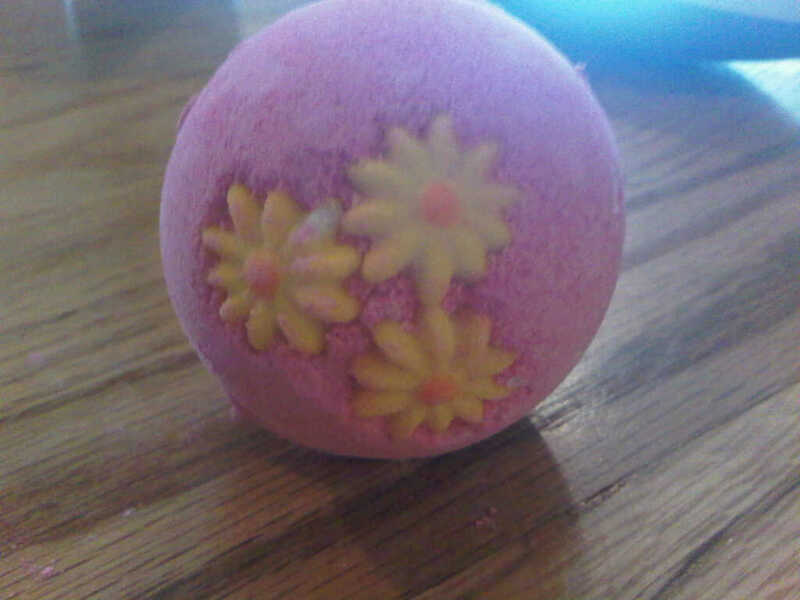 Bath Bomb that smells AMAZING!